GLADSTONE Regional Council's adoption of its summer 2018-19 biosecurity surveillance program has sparked renewed calls into herbicide use on invasive species within the region. Council approved the implementation of a Biosecurity Program (Surveillance) under the Biosecurity Act 2014 (Qld) at Tuesday's general meeting to monitor the compliance of landholders with restricted and prohibited matter of bellyache bush, giant rats tail grass, groundsel bush, leucaena, parkinsonia and parthenium weed. Councillor Peter Masters raised the possibility of shifting away from herbicides such as Roundup at the meeting. "There's a lot of concern and we've seen this recently with the use of Roundup," he said. "There's a real move on trying to find ways of controlling pests and weeds chemically free." Australia's Cancer Council recently called for an independent review of Roundup, which contains glyphosate, while in 2015 the World Health Organisation determined that glyphosate is "probably carcinogenic to humans". 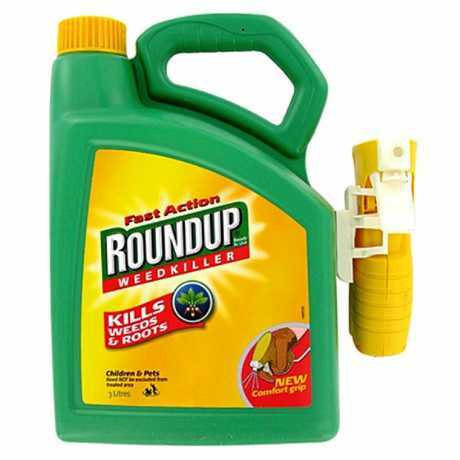 Roundup is made by Monsanto, who were bought by German company Bayer for $63billion in June. Last year glyphosate was added to California's list of cancer-causing chemicals. In August a San Francisco jury ordered Monsanto to pay $289million to a school groundskeeper who developed terminal cancer after using Roundup. The jury deliberated for two-and-a-half days before finding that Dewayne Johnson's non-Hodgkin lymphoma was at least partly due to using glyphosate. Byron Shire Council resolved to stop using herbicides in 2015 while residents have called on Ballina Shire Council to stop spraying Roundup for weed control. Steam-powered weed sprayers are now used in and around Byron Bay. GRC's Pest Management team was approached for comment in November regarding whether it would consider the use of steam weeders over herbicides. Its position hasn't changed despite the growing concerns of herbicides. "Gladstone Regional Council uses a selection of registered herbicides formulated to target invasive species on land under council control," the team said. "Historically, steam-spray technology is not a recognised effective broadscale control for invasive species. "With advancements in technology and methods, as demonstrated by initial application to parks and open spaces by Byron Shire Council, there may be potential future application and adoption by GRC."